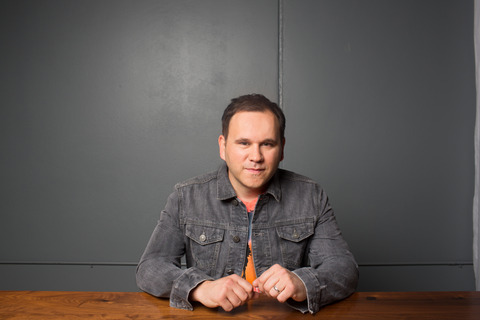 Matt Redman, acclaimed worship leader and two time GRAMMY® winner had announced the release of his upcoming LIVE album 'Your Grace Finds Me'. This album which is soon going to come out via sixstepsrecords on September 24th will be featuring RIAA certified gold anthem title track, 10,000 Reasons too. This song had already won two GRAMMY® awards this year, Billboard Music Awards and was named ASCAP's Christian Music Song of the Year. Following the momentum of 10,000 reasons a new single “Your Grace Finds Me” is soon going to debut on radio on August 2. “Your Grace Finds Me” album has been recently finished recording at Passion City Church with 12 tracks. This album was recorded live in the event ‘LIFT: A Worship Leader Collective’ in Atlanta, GA hosted by Louie Giglio, Chris Tomlin and some worship leaders from all across the country.